Blog Microsoft Azure How to Prepare for Microsoft Azure Exam AZ-203? How to Prepare for Microsoft Azure Exam AZ-203? Aspired to become a Microsoft Certified Azure Developer? This comprehensive AZ-203 exam preparation guide will help you to prepare and pass the certification exam. In the last few years, we have seen a steady transition of businesses towards public cloud platforms for improved productivity, reduced cost, flexible resource allocation, etc. Microsoft Azure is one of the key cloud players benefited through this transition. However, it created a lot of opportunities in the cloud computing sphere for both businesses and the job market. Nowadays, there’s an increasing demand for developers with Azure skills. To aid this situation, Microsoft itself is providing a specific certification namely “Azure Developer Associate” for Azure developers to make them competent in the tech industry. AZ-203 exam is a crucial part of this certification. So here we can discuss the methodologies and strategies you can adopt for effective AZ-203 exam preparation. Note that in the new Azure role-based certifications, Microsoft initially released AZ-200 and AZ-201 certification exams. But on the basis of the feedback received, they merged the AZ-200 and AZ-201 exams and launched a new AZ-203 exam for the Azure Developer Associate role. You can find different aspects of an AZ-203 exam including its need, scope, basics, requisites, skills assessed, and preparation options from this AZ-203 study guide. Just move on to see how this exam can be beneficial for you. Why Should You Go for AZ-203 Exam Preparation? Today, Microsoft Certified Azure Developer is considered as one of the prestigious job titles in the cloud technology. This job guarantees attractive pay packages along with solid career growth opportunities. According to the latest reports, the average pay of an Azure developer in the United States is more than $120K. It isn’t a secret that experienced Microsoft certified Azure Developers can earn up to $200K. This could be enough to satisfy a candidate who wants to go for AZ-203 exam preparation. What are AZ-203 Exam Prerequisites? It’s a must to properly understand the exam prerequisites before starting your AZ-203 exam preparation. Frankly saying, it is true that not everybody can take this exam. You need to possess at least one year of experience in the development of scalable solutions that span through the entire software development life cycle including software design, development & deployment, testing & maintenance. Also, you need to be proficient in at least one cloud supported programming language such as Python, Go, etc. In general, the applicants of this exam should be Azure administrators who can build and design cloud applications and services. They should be able to collaborate with clients, cloud administrators, cloud DBAs, and cloud solution architects to successfully implement the solution. Although the basic structure of the Microsoft role-based exams is almost similar, it is good to revise them to avoid confusion during any stage of your AZ-203 exam preparation. It’ll be beneficial for you if you can check the basic exam structure, scoring, pricing, and exam policies before starting your AZ-203 exam preparation. So, we can move towards that. Well, like most of the Azure role-based exams, you can expect questions in between 40-60 in the exam AZ-203. A total of 150 minutes is allowed for taking the exam. You can expect different types of questions such as review screen, mark review, short answer, repeated answer choices, multiple choice, hot area, drag & drop, case studies, build list, the best answer, active screen, etc. in this exam. Anyway, it’s not necessary that you may get all these types of questions in your exam. For most of the questions asked in the exam, you can be able to review your marked answers before finishing the exam. And, keep in mind that there are no negative marks for the incorrect answers. The examination fee of AZ-203 exam is subjected to change with the geographic location from where you are taking the exam. For example, if you are living in the United States, the exam fee will be 165 USD. If you change the location to the United Kingdom, the price will become 113 GBP – a price comparably less than that of the case with the United States pricing. This is applicable to other countries as well. Also, you’re eligible for a reduction in this fee if you are a Microsoft Certified Trainer, Microsoft Partner Network Program Member, or a Microsoft Imagine Academy Program Member. These reduced fee benefits are available for students as well. The pass mark for this exam is 700 marks. Any score greater than or equal to 700 will be marked as “pass”, otherwise “fail”. You’ll know the pass/fail status of the exam within minutes after completing your exam. Anyhow, to get a complete scorecard, you need to wait for a few days. A scorecard can contain your overall exam performance, fail/pass status, performance in key modules in the exam and the key details to interpret your results. With this scorecard, it won’t be difficult for you to analyze your strength and weaknesses in each area of the exam. Also, note that you won’t get a refund if you are not able to pass the exam. Microsoft has a transparent policy on the cancellation and retaking of AZ-203 exam. If anyone fails in the exam, you must wait at least 24 hours to take the exam again. If the candidate fails again for the second time, the waiting period will increase to 14 working days. In this way, you can attempt a maximum of 5 times a year for the exam. After the 5th unsuccessful attempt, you will be prevented from taking the exam for another 365 days. While talking about cancellation/rescheduling, there’s also a definite set of rules. There’ll be no charges if you cancel/reschedule the exam at least 6 business days before exam appointment. If a cancellation/rescheduling happens within 5 business days of your appointment, a marginal fee will be applied. In case you fail you to appear for the exam or couldn’t be able to reschedule/cancel the appointment, you forfeit the entire fee for the AZ-203 exam. As the percentage indicates, this module is very crucial in your exam, so is your AZ-203 exam preparation. There are 4 sub-modules in this module as shown below. There are 4 sub-topics under this module. You can find them below. Even this module seems shorter, this module has its own importance in AZ-203 exam preparation. Its sub-modules are listed below. How to Register for the AZ-203 Exam? Once you feel your AZ-203 exam preparation is sufficient enough for a try, you can go to the Microsoft Learning page for AZ-203 and schedule your exam. The exam scheduling link is available in the AZ-203 home page itself. You need to use your Microsoft credentials for this exam registration. After login, you need to fill up your basic profile information in a form. On the next page, you can link your professional status if you’re a Microsoft employee to avail exam benefits. Otherwise, you can skip this option and continue to the further exam registration process at the page of Pearson VUE, Microsoft’s official exam delivery partner. At Pearson VUE, you need to select an exam delivery option. You can choose an option according to your convenience from different options such as “At a local test center”, “At my home or office”, “At a Certiport test center” and “I have a private access code”. Each of these options has its own benefits and drawbacks. Anyhow regardless of the option you have chosen, you need to select a convenient date and time for taking the exam. Once you have chosen a schedule, you can proceed to checkout for paying the exam fee. Your registration for exam AZ-203 will be completed this checkout. 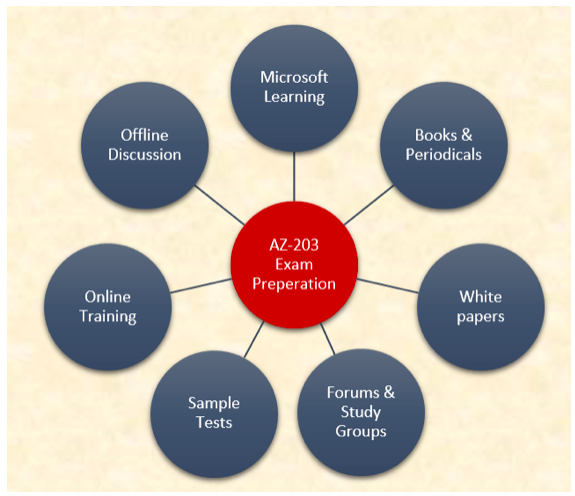 How Can You Plan for AZ-203 Developing Solutions for Microsoft Azure Exam Preparation? If you want to become a Microsoft certified Azure Developer Associate, you have two options. In the first option, you need to take a transition exam AZ-202. 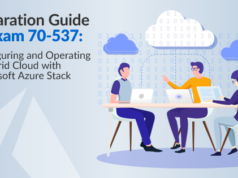 But, you’ll get the desired outcome of taking this exam if and only if you have passed in exam 70-532, Microsoft’s original exam for developing Azure solutions. If you haven’t taken the exam 70-532, the only option left for you is to take AZ-203 exam. But you can’t just spring into the exam as the AZ-203 Developing Solutions for Microsoft Azure exam preparation requires careful planning and implementation. You need to follow the most effective AZ-203 exam preparation strategy along with the right AZ-203 Developing Solutions for Microsoft Azure study materials to get the desired results. Have already passed the 70-532 exam? Start AZ-202 exam preparation now to become a Microsoft Certified Azure Developer Associate. 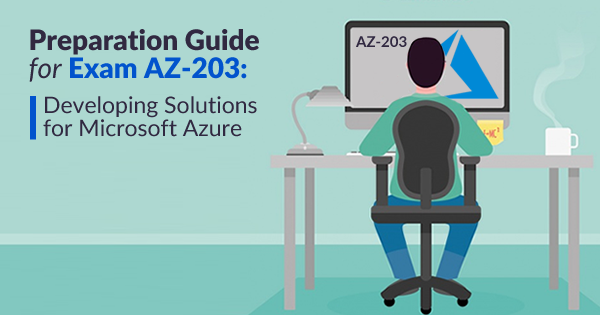 Here, we can provide you the top practices and preparation guide for AZ-203 Developing Solutions for Microsoft Azure exam to get the best results. All you have to make sure to align your AZ-203 exam preparation in accordance with the suggested strategies. 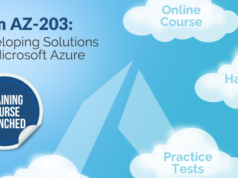 As an AZ-203 exam aspirant, this portal should be your primary destination before considering any other preparation guide for AZ-203 Developing Solutions for Microsoft Azure. You can find specific pages for all of the Microsoft exams in this portal, same for AZ-203. You can’t even think about scheduling your AZ-203 exam without entering this page. Here you can find most of the essential materials needed for your AZ-203 exam preparation including exam information, skill measured in the exam, exam requisites, study groups, etc. Moreover, this is the place where you’ll get the latest updates regarding changes in exam modules, dates, or pricing. Books are excellent tools for your AZ-203 exam preparation if these are from genuine sources. So whenever you get a book claiming as reliable preparation guides for AZ-203 exam, you need to cross check the authority of the author and the publisher. The same rule can be applied for periodicals such as magazines and scholarly journals. Another important factor you need to consider in this scenario is related to AZ-203 exam dumps. You may come across many books that offer brain dumps to pass AZ-203 exam. Never ever trust this kind of materials, since Microsoft itself discourages the use of AZ-203 exam dumps. Sometimes, the usage of brain dumps can even lead to permanent suspension from taking Microsoft certification exams. Whitepapers are authoritative reports that address, solve, and inform the issues regarding a product or service. You can find many whitepapers published by Microsoft related to many of its products and services including Azure. These documents can be very relevant in your Microsoft Azure certification exam preparation path. Also, you can find analyst reports and eBooks in this portal that can aid your preparation for the exam AZ-203. In addition to all these resources, there is an option to get the latest newsletters related to Azure. You can subscribe to this newsletter without any cost for getting up-to-date information regarding Azure features, technologies, and so on. Mostly, you’ll be aware of the relevance of forums in AZ-203 exam preparation. Else, you need to seriously consider it. Perhaps, forums and study groups will be the most cost-effective ways that can help our AZ-203 exam preparation. In a forum or study group, you can ask your queries and doubts without any concern. There’ll be experienced people who can clarify your doubts. An official study group for AZ-203 exam is available in the Microsoft portal itself. If you haven’t checked that yet, you must do it ASAP. 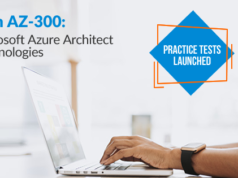 For most of the Azure role based exams, Microsoft provides sample tests in partnership with exam providers like Mindhub to help candidates for assessing their knowledge levels during AZ-203 exam preparation. In these tests, you can expect questions in the similar format in a way that’s asked in the main exam. These practice tests will be available in multiple languages including French, German, Spanish, Japanese, Chinese (Both simplified & traditional), Brazilian Portuguese and Russian. Another advantage of these practices tests is that you’ll get a detailed answer report and instant scorecard once you complete such a test. Sadly, there are no sample tests currently available in Microsoft portal for our exam AZ-203. So, keep updated with the learning page so as to get the latest notification regarding such a test. For most of the Microsoft certification exams, there is the provision of both online and instructor-led training in partnership with various training providers. Also, note that these instructor-led training options are available for individual modules in the exam. For instructor-led training, you can even find classroom training options based on the location you opt for. Anyway if you are choosing classroom training, you need to go to Microsoft partner website and should separately register for the training. For the time being, you may not find any of these training options for our AZ-203 exam preparation since the exam AZ-203 has recently been released on December 27, 2018, to balance the retirement of Azure exams AZ-200 & AZ-201. So, just wait to see training options to appear. Note that Microsoft has now discontinued Exam AZ-200 and Exam AZ-201 for Azure Developer Associate role and replaced them with the AZ-203 exam as per the feedback on the beta versions of AZ-200 and AZ-201 exams. No matter how many AZ-203 exam preparation guides or training sections you have followed, there is always a scope for offline discussions with your peers who have either completed the exam or preparing for an exam. It could be one of the most convenient ways to clear your concerns and doubts related to the exam AZ-203. Simply, we can consider this as an offline version of study groups or forums. Well, you do not need to get panic by seeing the number of preparation options for AZ-203 exam. You can choose the options from here that seem most convenient to you and skip the rest. These options are valid for most of role-based Microsoft Azure certification exam preparation as well. Today, passing AZ-203 exam is one of the impulsive ways that help you to become a Microsoft certified Azure developer. As you may already be aware of the pros of being an Azure developer, there’s no need for further discussion on the relevance of this exam. Anyway, if the discussion is regarding exam preparation, more attention is required from your side. This attention factor neither challenges the purpose of the AZ-203 Developing Solutions for Microsoft Azure study materials we’ve considered nor its usefulness in any case. It all depends on how you are utilizing these resources in the best possible way to get intended results. So without any ambivalence, we urge you to gear up your AZ-203 exam preparation with the optimal use of the resources we’ve discussed here along with proper utilization of your time. With these resources, it is a 100% attainable objective in your journey towards a qualified Azure Developer Associative. Wishing you all the best for the exam. The effort which you have put behind preparing this article is appreciable. It is so precise and informative. Thank you so much. It has helped me a lot.